Our event was part of a long-established community festival. So we had a build in audience of families in the community. 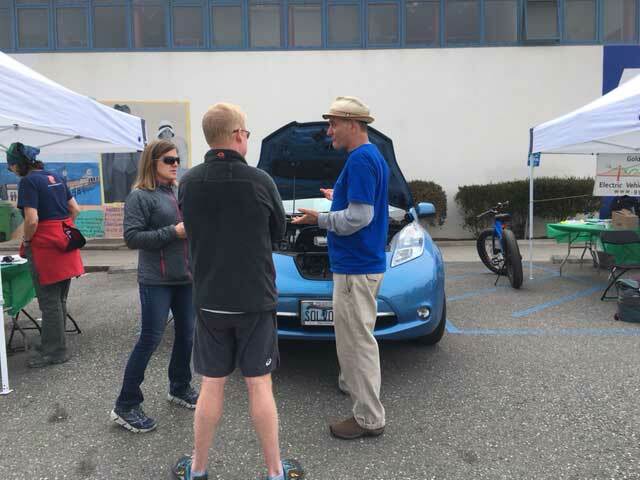 This was the first year we held the NDEW test drives with the festival and people were pleasantly surprised and enthusiastic. We had one City Supervisor and two State Assemblymen at the event. The feel was very warm, relaxed, community-oriented, which made for a great time. 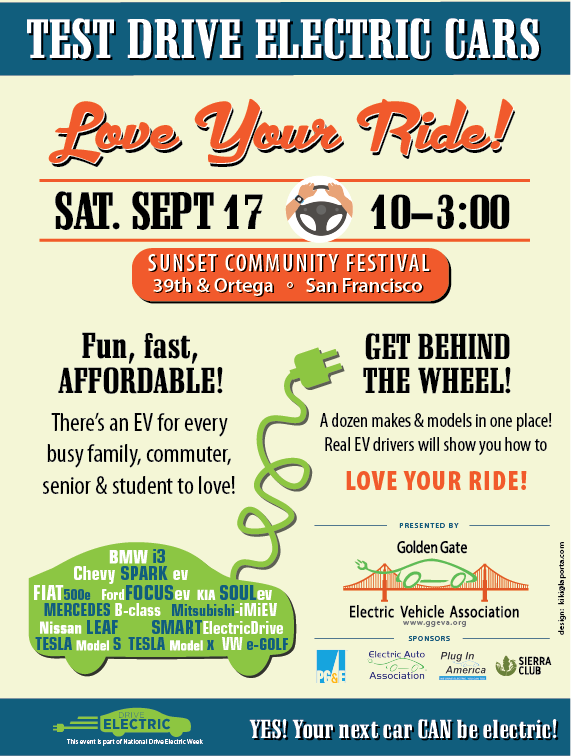 As part of the Sunset Community Festival, we will be offering test drives of electric cars and bikes. Owners of electric vehicles will be available to share their driving experiences. Registered attendees report 447,922 electric miles driven.